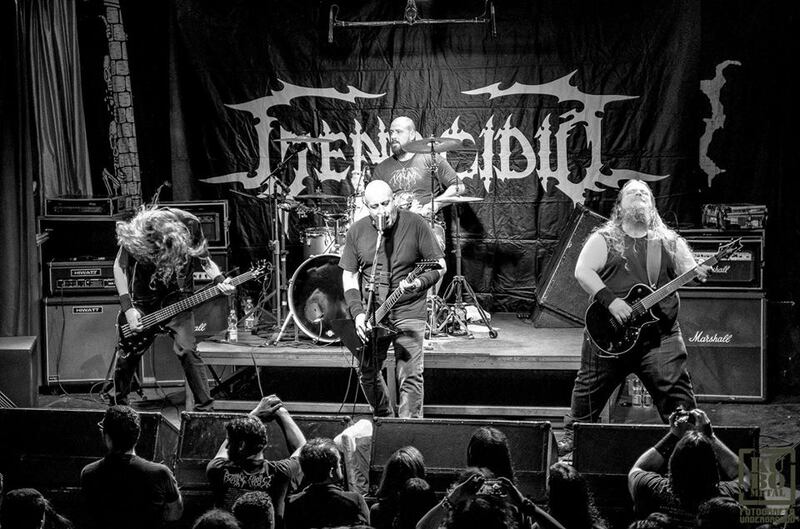 Brazilian veterans GENOCIDIO shared a video covering Sarcófago´s classic, killer track “Black Vomit”. This cover version was included in the band´s latest full-length “Under Heaven None” released earlier this year. “It is a tribute to the extreme Brazilian scene, of which Genocide has been proudly part for more than 30 years”, said vocalist/guitarrist Murillo Leites. Hail the mighty Brazilian Metal scene, Hail Eternal!